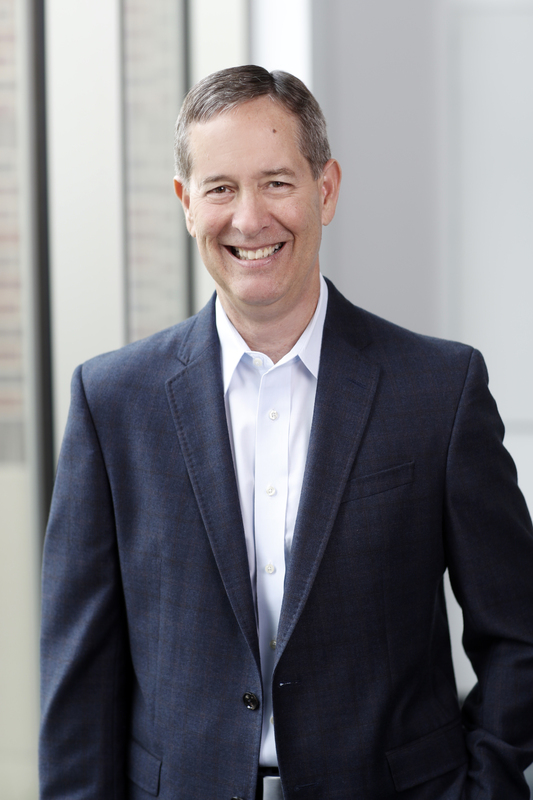 Jerry Y. Scott, ARM, SPHR, is Chief Operating Officer at Stay Metrics. He is instrumental in developing the processes whereby our teams continuously improve to meet clients’ needs. You can find more of his writing on his LinkedIn profile. On a balmy Kissimmee night last March, I was doing what introverts do at the opening reception of the Truckload Carriers Association meeting at the Gaylord Palms Resort. I was hugging a stand-up table and hoping that fate would send someone my way to meet and talk a bit. Soon I was rescued when a big man with a bigger smile and hearty handshake stopped and asked to share the table for his drink and plate of snacks. Phillip Keith was a truck driver in a garden full of trucking executives, and he was happy and proud to share his thoughts on the industry. You see Phil was there as a finalist for the Owner-Operator of the Year Award. He lives in Long Beach, Mississippi, has driven over the road for over 30 years, and proudly mentioned his 5 million accident-free miles. He showed me pictures of the incredible graphics on his old truck and the equally cool metallic paint on his new truck. He is proud of his craft and regaled me with story after story of his life on the road. Phil went on several nights later to win the award and its $25,000 prize. But that night, I was struck with what an amazing person he was. What a great example of the very best of the profession and that he is a driver whose loyalty and retention is worth working and fighting for. The war for talent is in full swing across a broad range of industries and job classifications in our nation. A massive generation is steadily leaving the workforce and is being replaced by a smaller generation with its own thoughts and perspectives on life and career choices. I think everyone in the industry would probably agree that trucking is getting squeezed on both fronts. Today, probably more than ever before, the ability to retain great drivers will be a defining differentiator between trucking companies that win or lose over the long run. There are those in our industry that suggest that driver retention can be made simple. We respectfully disagree. Drivers leave for hundreds of reasons, and often those reasons blend together in a myriad of ways influenced by industry trends and all the individual characteristics of a specific company including their culture, market and operating processes. Once a company gets above a couple hundred drivers, the ability to really understand why drivers are leaving or staying and what is actually driving retention becomes an ineffective patchwork of assumptions, anecdotes, and guesswork. Stay Metrics was founded on two key principles. One is that the driver needs to be and should be recognized as never before for their contributions to company success. The second is that the driver needs to be and should be heard as never before. The ability to hear the voice of the driver is where we do most of our work. We use a comprehensive set of evidence-based tools that assess the driver experience in multiple ways. Our Annual Survey assesses the entire fleet once a year on a very broad range of issues. Our Orientation Surveys assess the driver experience through recruiting and orientation and then their early driving experience. 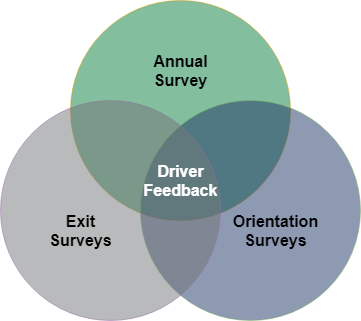 Finally, the Exit Survey gives us insight into why specific drivers choose to leave and enables us to correlate back to their earlier survey responses to create a Predictive Model that serves as a strategy evaluation tool. All of this produces deep and complex data that has the potential to change and improve the driver experience for the better. Some clients take our information as a raw data feed. They have their own sophisticated business intelligence tools and use them to make a difference. Other clients access their reports and information through our online portal, aptly named The Reportal, with a broad cross-section of managers utilizing the information to make a difference. However, for most clients, the most effective tool to drive difference making action plans is the Quarterly Review Call or QRC. Every quarter our Client Relationship Managers and their corresponding Analysts run each client’s quarterly reports and do a deep dive looking for actionable intelligence usually in the form of focus areas. Focus areas are typically areas of driver dissatisfaction either standing alone or in relation to comparative communities of like carriers in the Stay Metrics client base. These focus areas are most often leading indicators of turnover and are carefully evaluated for the development of recommendations to address and improve the driver experience in the area in question. On the call, we present our findings and discuss recommendations. It affords us and our clients a structured and disciplined arena to talk about the driver experience and what appears to be the most important and impactful issues to address. To many clients, it’s the most important part of our value proposition. In our most recent Client Satisfaction Survey, 91% of our clients reported using our data and recommendations to implement action items in their operation. Ultimately, improving driver retention is about doing the hard work to hear and understand the voice of the driver. It’s using data instead of anecdotes and making sure that data is deep, substantive and not superficial feel-good data like “How’s your day going?” Retention improves when something changes in the driver experience. It doesn’t improve simply from the survey process. Deciding what to change, as well as when to do it and how, is where winning driver-centered cultures are made. There are a lot of drivers like Phillip Keith out there. Once you have one, working and fighting to keep them is worth the battle.